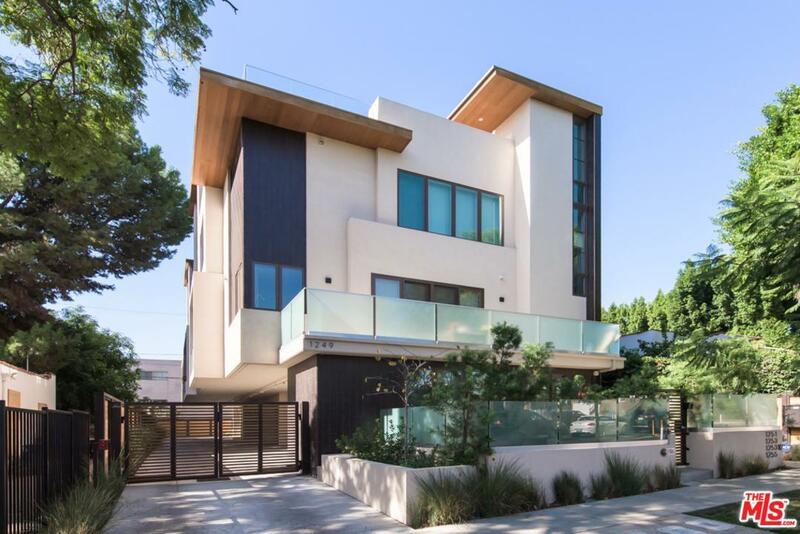 New luxury townhome in the heart of West Hollywood features a bright open plan with designer finishes. Main level boasts 10-foot floor-to-ceiling windows, wide plank oak wood floors, a chef's kitchen with custom cabinets, Caesar stone, a bedroom, and full bathroom. The master bedroom upstairs features an all-stone bath and a large walk-in closet with custom built-ins. The private rooftop offers a kitchenette with a grill, sink, mini-refrigerator, TV/cable/gas hook-up, and incredible views of city lights and Hollywood Hills. Direct entrance to the residence and a private two-car garage.